And no, I’m not talking about the Star Wars addition that I’m 110% certain will be announced this year. 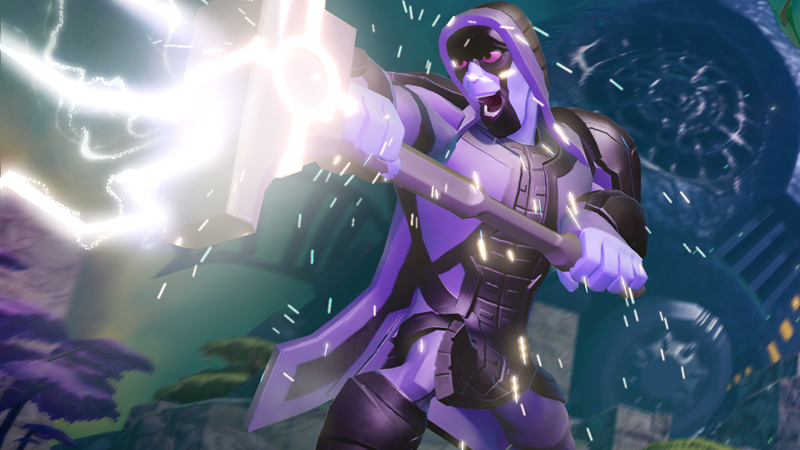 Last year’s Disney Infinity: Marvel Superheroes introduced a tonne of new capes fighting the good fight across New York and our galaxy. The likes of Captain America, Thor, Black Widow and Spider-Man all made a big splash in the game. 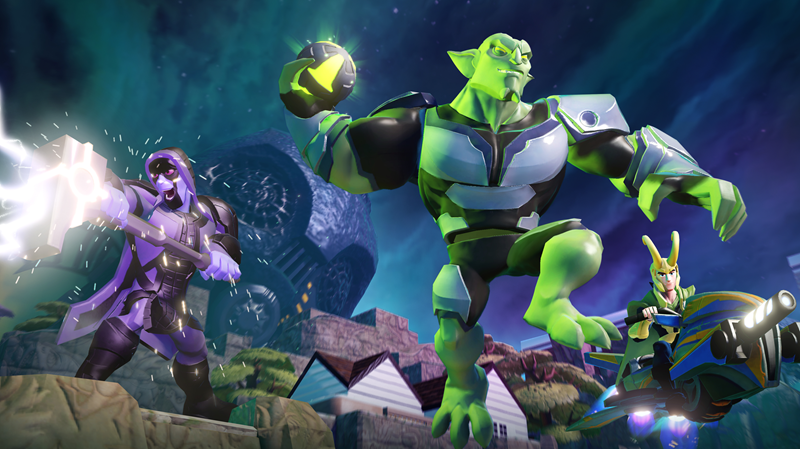 But this month, Disney Infinity gets a touch shadier when the villains arrive in town. 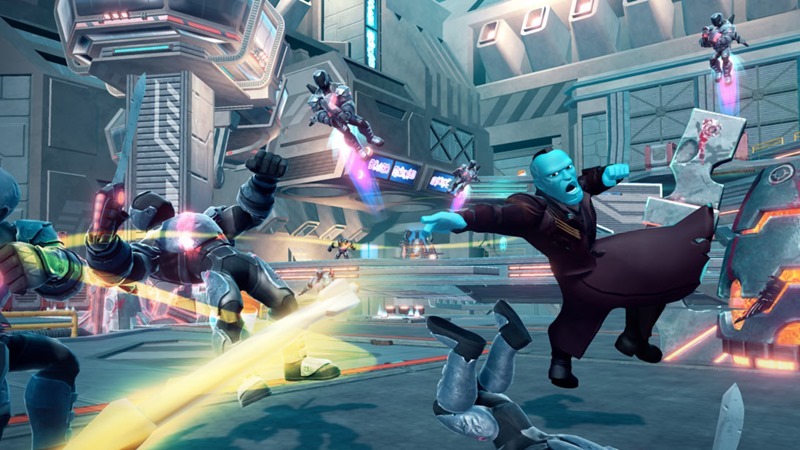 Baring a striking resemblance to Hammer-Time Smurf and easily confused by dance-offs, the big bad of Guardians Of The Galaxy has cloaking, energy blasts and super strength to use inside the game. 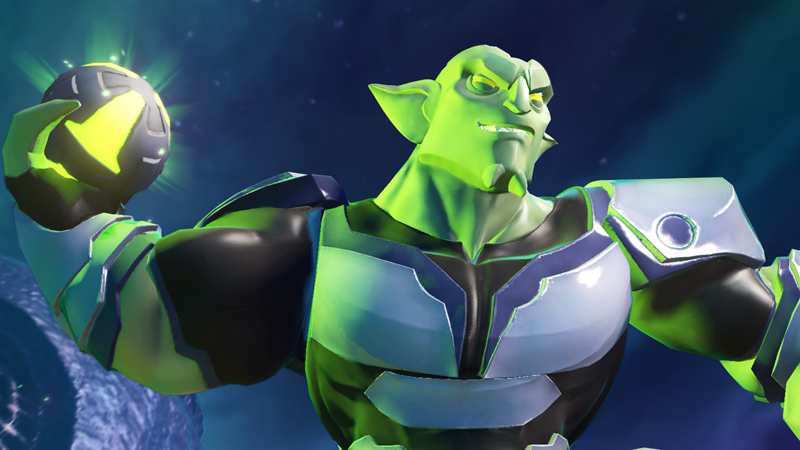 Jolly green goblin here gets not only his genetically augmented super-strength and a face for radio, but his trademark power gauntlet, pumpkin bombs and signature glider. The Green Goblin will of course, be a part of the Ultimate Spider-Man playset. The first Disney Infinity character to be both a team-up power disc and an actual character, Yondu’s primary special ability to summon that deadly arrow of his to lock on and take down enemies. And collect troll dolls. Loki and Falcon arrive in March to complete the Avengers playset and sap more money away from Parents who keep stepping on Disney Infinity figures that have been left strewn around the living room. I’m hoping to have a figure review up soon for the new arrivals in Disney Infinity, so I’d really appreciate it if you guys would knock before entering my room for once as I arrange them in the new Druidia Princess playset.